HALIFAX -- Demonstrators will gather in Halifax this afternoon to show their solidarity with the caravan of refugees and migrants travelling through Mexico in hopes of reaching the United States. Event organizer Stacey Gomez says U.S. President Donald Trump's reaction to the migrant caravan demonstrates that the U.S. isn't a safe place for refugees, adding that she's concerned the migrants will be met with a violent response once they reach the border. Participants at the solidarity event will meet at the Glitter Bean Cafe on Spring Garden Rd. at 3 p.m. to call for respect of migrant and refugee rights from the U.S., Mexican and Guatemalan governments. On Wednesday, U.S. president Donald Trump said he was considering deploying up to 15,000 troops to the U.S.-Mexico border in response to the roughly 6,200 Central American migrants trying to make their way to the U.S. 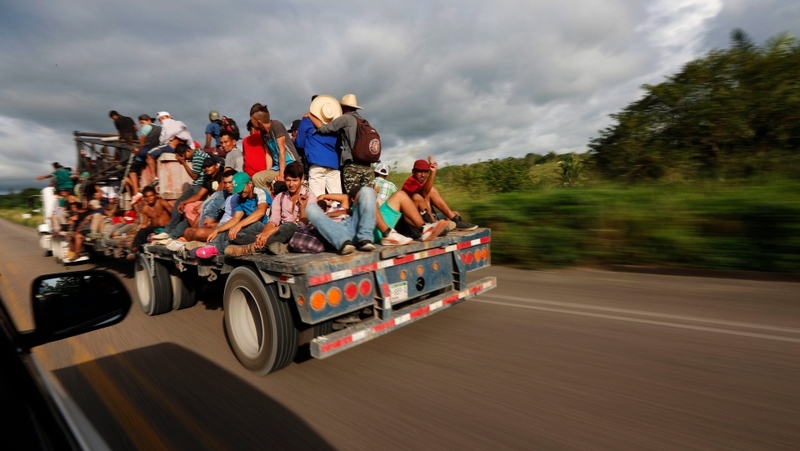 The first caravan, with roughly 4,000 migrants, is in Mexico, still over 1,000 kilometres away from the nearest U.S. border. A second, smaller group of 1,000 or so migrants is more than 300 kilometres behind the first caravan. A third band of about 500 from El Salvador has made it to Guatemala, and a fourth group of about 700 has set out from the Salvadoran capital.